*This is the Limited Deluxe Version...* Wide Awake! is New York’s Parquet Courts’ fifth record since their formation eight years ago. 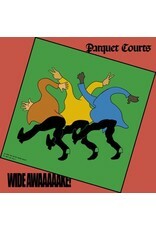 The album is filled with Parquet Courts’ traditional punk rock passion, dynamic rhythmic propulsion and exceptional songwriting yet explores new ground and influences from Grace Jones, Townes Van Zandt, Parliament, Augustus Pablo to 80s American punk like Big Boys, Minute Men, The Dicks and Flipper. 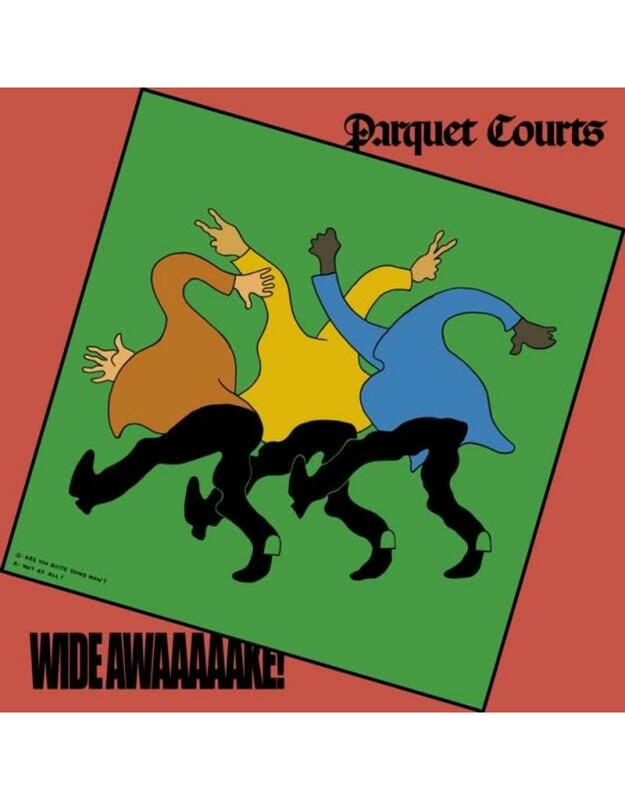 “The ethos behind every Parquet Courts record is there needs to be change for the better, and the best way to tackle that is to step out of one’s comfort zone’’ guitarist/singer A Savage says of the unlikely pairing with producer Danger Mouse. ‘‘I personally liked the fact that I was writing a record that indebted to punk and funk, and Brian’s a pop producer who’s made some very polished records.” The songs, written by Austin Brown and Andrew Savage, are filled with their traditional punk rock passion, as well as a lyrical tenderness, but are elevated to even greater heights by the dynamic rhythmic propulsion of Max Savage (drums) and Sean Yeaton (bass). Ultimately then the message contained in Wide Awake! is complex. “In such a hateful era of culture, we stand in opposition to that — and to the nihilism used to cope with that — with ideas of passion and love,” Brown says. For Savage, it comes back to the deceptively complex goal of making people want to dance, powering the body for resistance through a combination of groove, joy, and indignation. “Expressing anger constructively but without trying to accommodate anyone.” Austin Savage says they played on the duality between rage and glee like Youth of Today, Gorilla Biscuits and Black Flag. "I needed an outlet for the side of me that feels emotions like joy, rage, silliness and anger," For Austin Brown, death and love were the biggest influences. One of the most courageous songs on the new record is "Death Will Bring Change," a moving elegy, with a chorus not unlike the Rolling Stones’ "You Can't Always Get What You Want," only this time, London's Bach Choir were 15 twelve year olds from the upper east side recorded at 9am on a Saturday. * Album opener “Total Football” is named after the eponymous theory of soccer pioneered by the Dutch that requires every player to be able to play every position on the field. It also has shout-outs to iconic individualists the painter Cy Twombly, the poet Mina and sculptor Eva Hesse. Title track "Wide Awake" brings the band's mission into full focus. It aims to achieve the deceptively complex goal of making people want to dance, while powering the body for resistance through a combination of groove, joy, and indignation.